OK, now the race is on! TextBlade vs OrboCube. Both advertised to ship in late Jan 2016. Who will win? Steorn's long-promised web store went online yesterday, at orbo.com. The site is a straightforward shopping cart system that offers Steorn's two products, the OCube and OPhone. The one surprise is that the OCube is currently marked as being "sold out". Does this mean they've already received enough orders to exhaust their initial run of 1000 OCubes? It's not stated whether the OCube will be available again in the future, though Shaun McCarthy has said that they are prepared to produce up to 50,000 OCubes. "You pay your money; you take your chances" is another classic. Expect I didn't pay money, I used a credit card. Steorn has updated their Orbo.com online store, with the OCube no longer being marked as "sold out". Instead, it is stated that "shipping is 6 weeks from payment". For the OPhone, shipping is said to be 12 weeks from payment. Nothing else new on the Steorn front lately. I'm still awaiting arrival of my own OCube, which according to Steorn's statement when I placed the order, should ship around the last week of January. Come on, @waytools. Don't let the Irish beat you! There are several issue[s] around packaging, logistics etc we're finalising at the moment, we expect to start shipping in the next several days, we'll give you an update in the next few days. Thanks for your patience! At least they haven't asked this customer to be a beta tester, yet. The phrase made it into his supposed lexicon because of a theatrical show titled "Barnum." 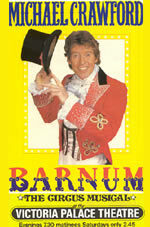 Basically a show about his life and times, set to a brilliant backdrop of circus performance and musical numbers. He literally sings a song all about suckers being born every minute. Well, @waytools lost the race. Details, as usual, at http://dispatchesfromthefuture.com/ . Both Ophones and at least one Ocube have been delivered to customers. Just started reading the reviews. If these things really keep running, there will probably be a lot of press coverage. Everything I know about the universe indicates that this has to be a hoax, a scam, a bottle of snake oil. Still, there was a time we couldn't get to space. There was a time we wrote by hand. There was a time people worried that, if we broke the sound barrier, there would no longer be sound. I was referencing the possibility of a perpetual charger, OldBlue. Ahh - many thanks for the clarification! Thanks for the update. I forgot all about this. I'm surprised at the blogger Ferrier's patience. Steorn did 'ship' a handful of units, but they've all failed. Probably didn't use enough epoxy to keep all the secrets sealed up well enough inside. Ubi - how would compare your actual TextBlade's performance to that perpetual motion machine? I can report that, unlike the Orbo, the nanoCharger is 'magic' that actually works. For 90% or more of the customers, they (Orbo and nanoCharger) are about the same in the sense that there is no general release product. Don't count your chicken's before their hatched.